We are very sorry for the inconvenience but we are unable to open our North Park Location at this moment. We are unsure of an official opening date but we will post it online as soon as we have word. 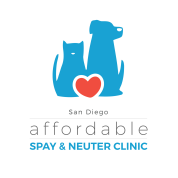 We are offering to our clients who scheduled for North Park a FREE NAIL TRIM if you book an appointment at our Escondido Clinic. If you would like to be rescheduled for our Escondido Clinic, please text, call or email us with the date you would like to be rescheduled to. Once again we are so very sorry for any inconvenience we may have caused. We truly care about our clients and hope to hear from you soon.